Article: This Way Up 2018: Is the idea of a silent cinema audience outdated? Are noisy audiences disrespecting the artform or is it simply a part of that shared collective experience? There’s nothing like watching a film with an audience. Whether it’s a horror, a big-budget blockbuster or a comedy, sharing the experience of laughing, crying or hiding in fear with a like-minded crowd is one of the reasons that many of us go to the cinema. However, for some, the cinema experience has become a miserable one, hampered by people using their phones, talking loudly and eating pungent snacks. The creation of ‘unofficial rules’ such as the Cinema Code of Conduct have aimed to make the cinema an enjoyable experience for all, but some question whether it’s a draconian way of enforcing one group’s set of cultural values over the larger cinema-going audience. 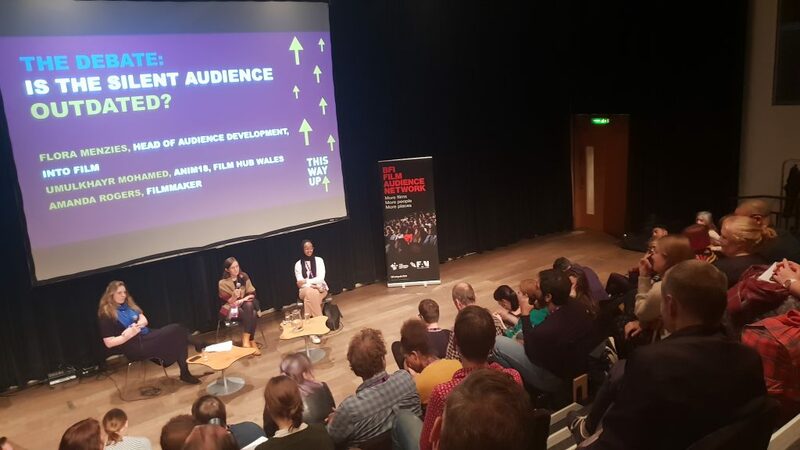 At This Way Up 2018, this was the debate fielded by Flora Menzies, Head of Audience Development, Into Film, Umulkhayr Mohamed, Anim18 Co-ordinator, Film Hub Wales and film-maker Amanda Rogers. Are noisy audiences really disrespecting the artform? Can we make cinema a truly collective experience and include all? Are ‘relaxed’ screenings the only time the rules can be broken? These were all issues that were raised and the resulting discussion was lively. Ultimately, it all came down to context and a respect for basic courtesy. There was a consensus that some basic guidelines should be followed and respected: turning off mobile phones, not eating home-made tuna sandwiches in the auditorium, for example, and being aware of everyone else’s enjoyment. Still, when it came to overall guidelines, many agreed that it all depended on the event. 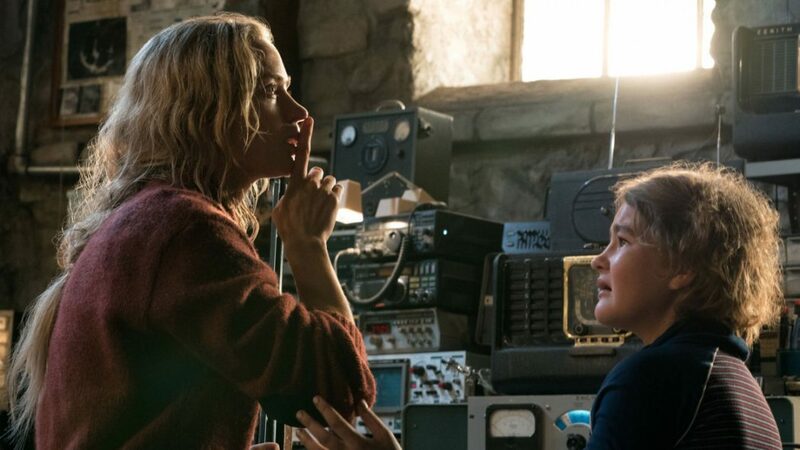 Not talking during a screening of A Quiet Place made sense, but during a sing-a-long showing of The Greatest Showman, surely, you’d want people dancing in the aisles and having a great time? Non-disruptive behaviour during a live screening of King Lear from the RSC totally makes sense. However, a screening of The Room demands spoon-throwing and audience interaction. It all comes down to striking a balance between ensuring all feel welcome and providing an atmosphere that is enjoyable for everyone. This can mean putting on special screenings to cater for certain audience members that might not feel comfortable or welcome in a full auditorium. This is why many venues have started putting on autistic-friendly screenings of the latest Pixar or Marvel releases, special subtitled showings for hard of hearing viewers and early morning screenings for new parents who also want to see the latest releases. What was clear was that harsh rules and regulations (“No coughing” signs and overly aggressive tutting from patrons) can put people off attending the cinema and enjoying themselves, which is the last thing exhibitors want. Many hope to be able to share and enjoy the experience of watching a film with friends and, if that means getting hushed by patrons after laughing too loudly or screaming during a scary scene, then most will opt to stay away and simply watch films at home. However, one intriguing takeaway was from an exhibitor who noted that, despite popular perception, it isn’t always the younger audience members who have to be told to be quiet. More often than not, it’s the older generations who seem to have little to no compunction about loudly discussing the film amongst themselves and having private conversations. Ultimately, the session revealed how audience preconceptions can easily be incorrect and that the most effective policy is to listen and talk to your audience in the first instance.